Toysdrone has been specialized in providing kinds of original Hubsan Quadcopter and spare parts for many years with full enthusiasm. 1 x H501A Brushless RC quadcopter. You can also manually trigger Failsafe Mode via a switch on the transmitter. Size: 14.5 7.8 5CM Function : forward/backward/turn right/turn left. 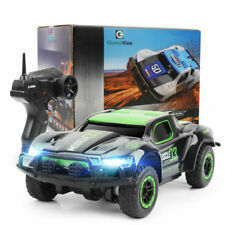 4WD RC Cars High Speed Racing Truck Models LED Headlight 2.4G Electric RC Toys. Mini Turbo 360° Stunt RC Car Tumbling Acrobatic RC toys Retractable Stretchable. 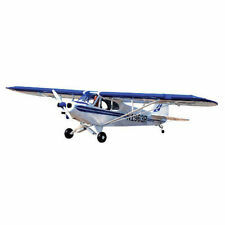 With a stylish and sleek new body shape,the H501S will bring you a more rewarding and pleasant flight experience. 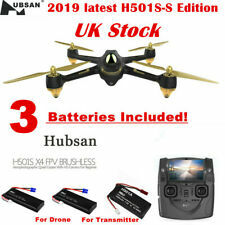 1 x Hubsan H501S Quadcopter. Difference Between H501s Standard and Advanced Version Transmitte r.
Model Number: HELIWAY 505. This HLW 505 3.5 channel helicopter is an excellence and fantastic choice. 1 RC Helicopter. With high quality enginnering materials, it has strong resistance to crash. Suitable: Outdoor and indoor fly. The main body can also rotate from left to right of up to 680 degrees. If you are looking for a toy that would challenge your child’s co-ordination and knowledge then this digger toy is a must buy for them. The Blade® Inductrix™ 200 FPV quadcopter is the ideal drone for pilots who want FPV capability in a compact aircraft that’s easy to fly. Inspired by the durable micro-size Inductrix design, this larger ducted fan planform features powerful brushless motors and multi-blade rotors that provide a smooth cushion of air. All of our Taigen parts are genuine as we are the UK approved supplier for Taigen. Mainly WWII models such as the Tiger I, Panzer III and Panzer IV. 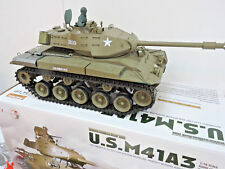 Also available are Panthers and Walker Bulldogs amongst others. We have removed the Tamiya ESC from this kit as we are well aware many collectors already have an ESC or prefer to use a different ESC. Tamiya RC Cars. This kit is supplied. 3-piece assembly wheel, straight ribbed racing front tires, paddle rear tires. 2 Selectable Frequencies Let's You Fly Up To 2 Helicopters At Once. Easy to fly. Complete Kit, Ready to Fly. All images advertised are for illustrative purposes only and may differ from the actual product. SYMA Original Metal S109G 3.5 CH Radio Remote Control RC Gyro Helicopter Kid Toy. Model: H501A. 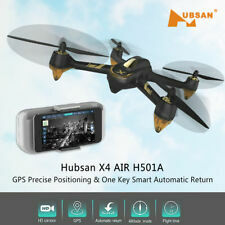 1 x Hubsan H501A RC Quadcopter. Motor Type: Brushless Motor. We will get back to you with a rep ly as soon as possible. Heng Long Version 5.3 Tiger 1 Tank. Item type: H502S. 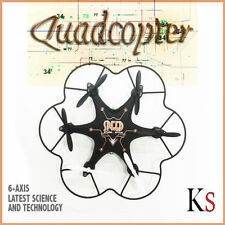 1 X Hubsan H502S RC Quadcopter. 1 X 7.4V 600mAh Li-po Battery (Battery for the drone). 1 x H001 Drone. We will get back to you with a reply as soon as possible. Frequency: 2.4GHz. Tamiya DT02 chassis kit and manual as pictured. Please study all images carefully, thanks. Bought in as spares for when we regularly ran DT02s as bashers....chassis kit is 98% complete with all parts in original packaging. ***Kit requires the two front hubs from Screw Bag A*****. 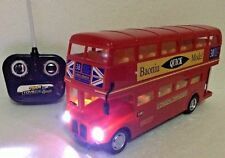 No bearings or electrics included. Item will be sent via 24hr courier and the cost covers standard UK geographical locations only. International shipping via GSP only. Thanks for looking. Here for sale a Tamiya Hornet 1/10th RC Car. Tamiya TSU-01 Servo. Built to a good standard and only had very light use. In addition if you want to tune and upgrade your Carnage Brushed, FTX provide a wide range of carbon and aluminium upgrades that will bring your ride up to a whole new pro level. FTX Carnage Features. Fully working. This plane is quite light so must be used inside as the wind would blow it around outside. 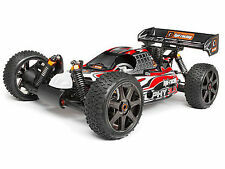 MASSIVE 1/12 4WD SUPER FAST RC CAR/BUGGY WITH LIGHTS 2.4GHZ. Function: go forward, go backward, turn left, turn right. Don't throw it into fire. Don't throw it into water. 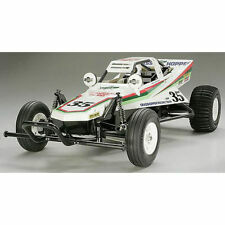 1 RC 4WD FAST Car/BUGGY. Hard Fluorine Coated 0.6 Aluminum Pinion Gear (20T) (53509). This is a racer's chassis kit. This R/C FWD chassis kit takes the revolutionary M-07 Concept and pairs it with a range of option parts, selected by the Tamiya Racing Factory (TRF) team for a racing setup. Here is my tamiya collection fav, in good condition. All included, just switch it on and it’ll run. (Up for sale is this #AR106028 Arrma Typhon 6s 4WD 2018 Brushless 1/8 scale Electric Buggy. For those of you into the hobby will know exactly what this vehicle is capable of ;). NOTE: The box, manuals, spares, speed pinion and other bits are not pictured but ARE INCLUDED! NICE SCALE ACCESSORY TO MAKE THE REAR OF YOUR WAGON LOOK A LITTLE MORE REALISTIC. THIS BAR FITS DIRECTLY TO THE PRE DRILLED HOLES IN YOUR TAMIYA CHASSIS. BAR AND SUZI LINES. TO FIT TAMIYA SCALE. THE TRUCK IS FOR DISPLAY PURPOSES ONLY. Possibly 1/12 scale. Has accessories including a fuel bottle, glow starter, tools and a radio set which is very old and not sure if it works. Swamp Thing body a bit tatty. Not tested, but was working a few years ago. Min drone x902 quadcopter good condition in original box, Condition is Used. Dispatched with Royal Mail 2nd Class. Race inspired styling at an entry level price. Assembly Type: RTR. 550 brushed motor. 4wd shaft drive with slipper system. Power: Brushed Motor. Drive: 4WD. Front universal driveshafts. We will always help you to have a 100% positive happy buying experience. Blue anodized aluminium components add a little style to the chassis along with the functionality of oil filled adjustable shock absorbers, front CVA universal driveshafts, ball bearings, adjustable suspension turnbuckles for tuning and a centre drive slipper to protect the transmission. RC Nitro Car Petrol Monster Truck/Buggy Radio/Remote Control 4WD Fast Off Road ! This truck as also has fully ball raced bearing fitted 👍. 6 Volt 7Ah 3fm7 Lead Acid Battery. This is a Top Quality Battery from Power Sonic! - Standby Battery in Lighting. Universal Battery UB645. Yuyaolitian Battery LTA670. This is a sealed battery which can be used any side up!